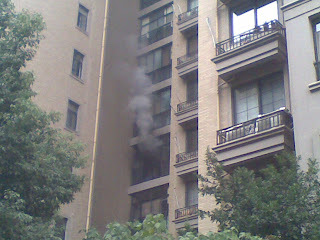 There was a fire in an apartment in our building. 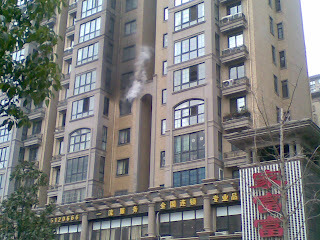 We live in the 2nd entrance, and the apartment with the fire was in the 4th. So it was close. 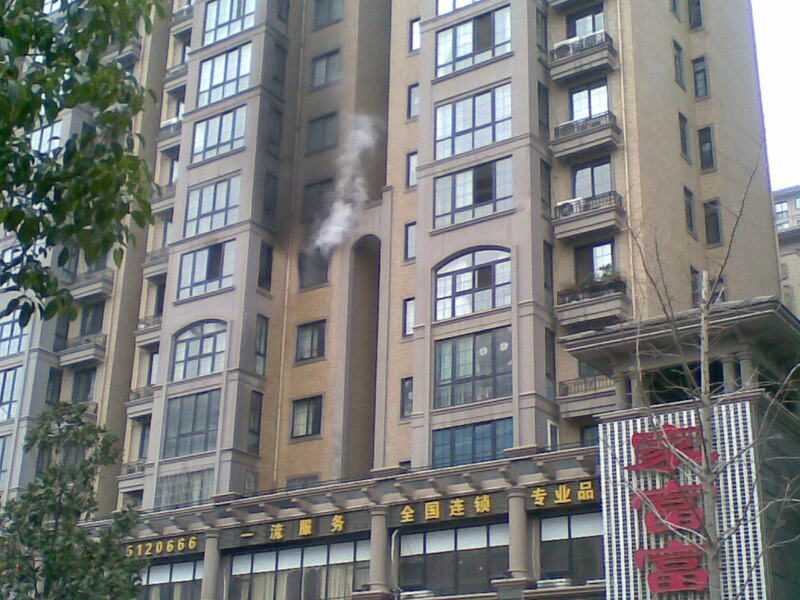 We smelled the smoke, heard the sirens, and saw the crowds of people. This was the first fire that I have seen in China. 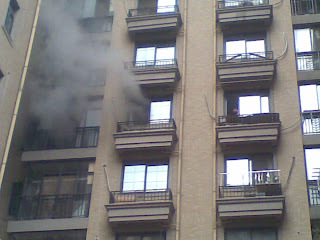 The firemen let people get very close, and they even let people smoke while watching! I tried to get a picture of that, but it did not turn out! Anyway, we now have two young impressionable boys who want to be fire fighters!